Cibophobia? You don’t need to live with it anymore. Hypnotherapy could help you. I’m sorry you have to be here. Eating should be such a simple matter but for a good number of people it can become quite a nightmare. I meet so many people for whom food is a chore. Fruit and vegetables are an impossible challenge. Meals out are problematic at best and avoided where possible. Perhaps you almost choked to death as a child and your brain responded by closing you off to all but a limited selection of foods. This might have happened more recently. I’ve worked with plenty of people who had a choking incident as children. They were all terrified of eating and drinking thereafter. They aren’t anymore. Hypnotherapy proved to be the solution. Perhaps you were violently ill as a child, during that time in which you’re constantly exploring new foods. That can have the same effect. I often see clients who tell such stories. Hypnotherapy has helped with their phobia of food too. Perhaps you’re OK around food at home. Perhaps it’s only when eating out, in company, that the fear strikes. This is a lot more common than you’d think. Sometimes social anxiety becomes associated with a fear of food. The very idea of eating in company with others can cause anxiety, nausea or both. If the idea of eating out with friends or family strikes you with terror, you’re not alone. I’ve worked with several such people in the past couple of years. It’s entirely possible to be free of such a fear. Dates needn’t be such a cause of dread. Evenings out with friends could be easier. They might even become fun! I’ve used hypnotherapy in Reading, Oxford, London, Wallingford and Thame to help people to overcome their fear of food. 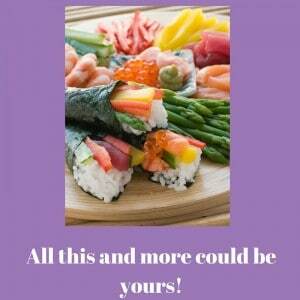 Hypnotherapy can help you to feel comfortable and relaxed around food. I can remember, a few years ago, reading a story about a man who’d eaten practically nothing but jam sandwiches since his childhood. I was amazed how well he’d functioned on such a limited diet. The body is simply amazing in how it manages to thrive against the odds. I used to think that these stories were rare. Today I’m not so sure. I’ve now met and worked with plenty of people whose diets were almost as limited. I’ve used hypnotherapy to help dozens of people with these problems and I’ve just booked another person for the issue this morning. You can learn to be free of the fear of food. You can liberate yourself from the fear of dates, family meals and work functions. Hypnotherapy could help you. Children often begin by eating practically anything once they are weaned. At about eighteen months to two years of age, however, fussiness sets in. This is believed to coincide with children walking more independently and being at risk of poisoning should they eat anything too far out of the ordinary. Fussiness is simply this self-protective caution and if their hesitant experimentation with new foods results in choking, cibophobia can set in. Children learn fast and an unpleasant experience with food can lead to the wrong lessons being learned and learned forever. They can be unlearned too. You really needn’t think that this has to be a permanent state of affairs. You needn’t continue to turn down invitations, limiting your social life, romantic prospects and networking opportunities at work. I could help you to be free of this fear in order that eating out becomes a pleasure, not an unbearable chore. Childhood experiences with food may be the reason why most people with cibophobia stick to a limited range of foods which are soft, mildly flavoured and much like the foods one would have been eating when first introduced to solids. Some, as the video below demonstrates, go to even worse extremes. 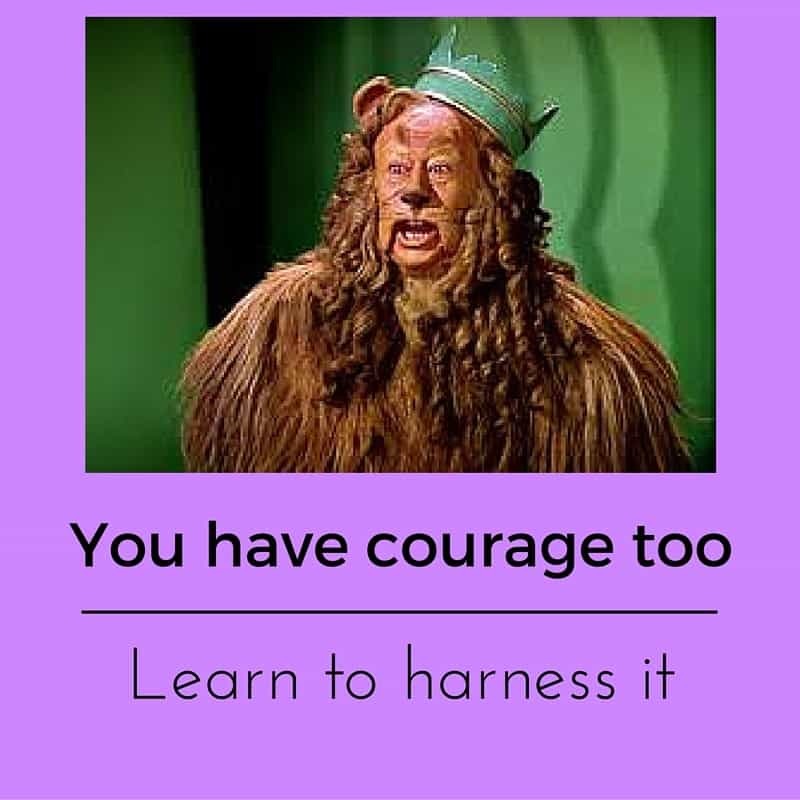 Hypnotherapy could help you to conquer this fear quite rapidly. Please do get in touch if you’d like to hear more of how it could help you. 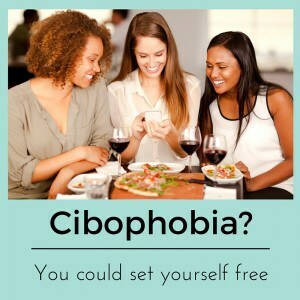 Cibophobia can often be mistaken for an eating disorder. Sometimes it does exist at the same time as an eating disorder. If you’d like to read more of how I work with eating disorders then please click here. Many people come to me for help because adulthood brings changes which leave it harder and harder to cope with such a restricted diet. People become fed up of not being able to visit restaurants with friends and partners. They can, in fact, develop social anxiety as a result of the stress of trying to hide their phobia whilst attempting to maintain a normal life. Holidays become impossible where restaurants don’t serve the only foods you find acceptable. If you’re becoming truly fed up with being left out, give me a call. The body also provides a motivation for change. Children can often cope remarkably well with poor diets. Adults, however, soon begin to show signs that this limited diet can’t continue forever. Perhaps the lack of energy is having an effect upon work. Perhaps the increasing rate of illness is limiting the ability to enjoy life. Things can’t and won’t continue like this. The good news is that hypnotherapy can help with such things. 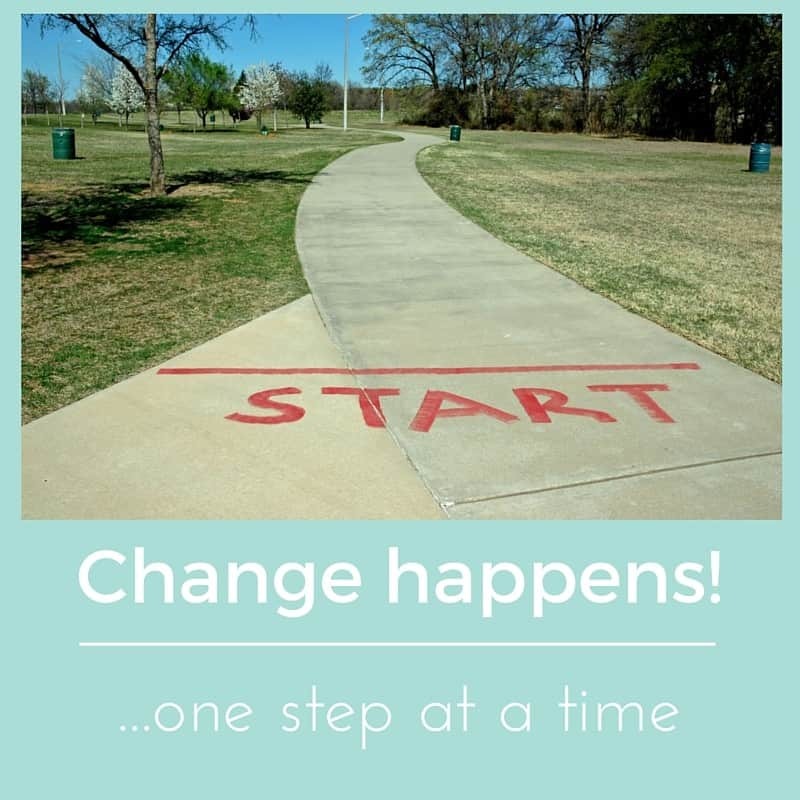 Hypnotherapy can help to acclimatise the mind to trying new foods whilst, at the same time, resolving those traumas which brought the phobia into existence to begin with. As I said before, the human body is amazingly resilient. The human mind is too. It programmed itself to protect you (through fear) from strange, new foods. It can re-program itself too. You’ve already proven the power of your mind. It stopped you from trying any new foods in order to protect you and it probably did so very, very quickly. Imagine how powerful your mind could be if you turned its strength towards resolving that phobia. Hypnotherapy could help make that happen. The same applies to those who have a phobia of choking and to those who are afraid of eating in company. Hypnotherapy could help you to leave those fears behind you. Whatever the nature of your problems with food, give me a call and we’ll discuss how I could help you. There’s a part of me which almost envies people with cibophobia. It can be so easily resolved and the pleasure of being able to explore all those different foods our world has to offer, for the very first time, must be fantastic. I love seeing my clients tasting new foods and finding how rich, delicious and varied the world’s cuisines can be. You could be the next person to find that out for yourself! I hope you’ll choose to get in touch. I’m regularly using hypnotherapy for cibophobia in Reading, Oxford, London, Wallingford and Oxford. If you live in or around those cities and towns then call me on 01865 600970 / 07786 123736 / 01183 280284, email me on paul@resolvedhypnotherapy.co.uk or use the contact form below. I look forward to hearing from you.